The Achagua of Colombia are a relatively small people group with around 300 members. This was not always the case. They were once one of the most populous tribes in the Orinoco River region. They practiced intertribal commerce and were sought out for their immobilizing poison for hunting, their ceramics, their honey and oil made from turtles. Trade was conducted using shells called quiripa. Previously they lived on the savannahs along the Meta River between Casanare River and Ariporo River. 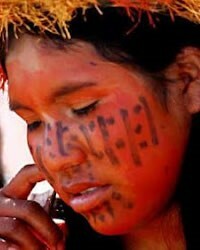 Today they live on the Victoria-Umapo and Turpial Reserves. Though they have come to know and adapt to the modern culture around them, they continue to follow traditions of years past, including the use of hallucinogenic plants in their ceremonies. Theirs is a patriarchal society. Though nuclear families may live together for a time, as the family grows, the sons begin to build houses separate from their parents' house. They live from agriculture and raising of livestock. Yucca is their primary staple, along with corn. They hunt and fish as well, but supplement all this with wage labor work and the sale of hammocks. 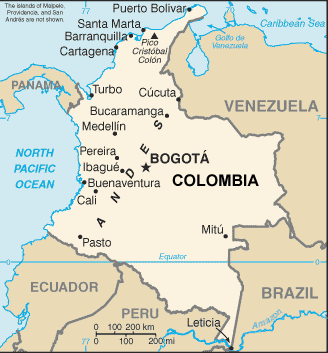 http://www.todacolombia.com/etnias-de-colombia/grupos-indigenas/achagua.htmlView Achagua in all countries. Location in Country: Casanare department; Meta department: Upper Meta River, between Puerto López and Puerto Gaitán, El Turpial reservation, and Umapo community.